Your tour to Manali begins as soon as you reach your allotted bus stand. Reach the bus at 5 in the evening and board your AC Volvo bus. Enjoy your overnight journey to Manali which is 575 kms from Delhi. You reach Manali in the morning and on arrival, take a transfer to the resort by resort cabs on sharing basis. 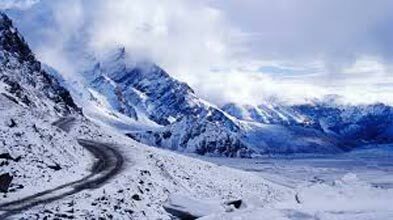 Manali is a beautiful hill station set in the lap of Himalayas. At this beautiful hill station, you can assure yourself with a relaxed and fun filled holiday close to nature. Here, you get to enjoy and explore so much, starting right from the green hillside to snow-capped mountains. On reaching the resort, take some rest. Later, you can go for a stroll around the place. Have a comfortable overnight stay at the hotel. This morning, after you have your breakfast, you go for a short sightseeing tour around Manali. You begin with a visit to the Solang Valley which is known to offer spectacular views of glaciers and snow-capped mountains. Here, you can enjoy activities like Paragliding. 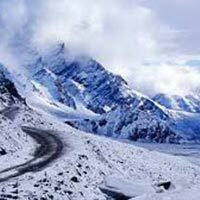 After your visit to the Solang Valley, you head towards Rohtang Pass which is 51 km from Manali and is located at an altitude of 3978 meters. You really can’t afford to miss an opportunity which takes you to the highest jeepable road in the world. Return to the hotel after this tiring tour and have a comfortable stay at night. After having your breakfast in the morning, go for sightseeing at Kullu which is 40 kms from Manali. On reaching Kullu, visit Vasihno Devi Temple and seek blessings of Maa Vaishno. You can also enjoy activities like rafting at Kullu. After Kullu, head towards Manikaran which is well-known for the natural hot water springs. These hot springs are believed to have medicinal powers. On reaching Manikaran, visit The Rama Temple which has been built in pyramidal style and is dedicated to Lord Rama. Also, visit Gurudwara of Shri Narayan Hari which was built 60 years back. After sightseeing at Kullu, drive back to Manali. On reaching Manali, enjoy your overnight stay at the hotel. Have your breakfast in the morning and then check out of the hotel. Now, proceed for a half day local sightseeing tour of Manali. Visit the famous attractions of this beautiful destination including the 450 years old temple which is dedicated to Hadimba Devi. Enjoy the picturesque surroundings which the temple offers. Later, you can visit the nearby market and shop for handicrafts and the famous Himachali shawls. After shopping, head towards the bus station by 4 pm and board your bus to Delhi. Enjoy overnight journey to Delhi. You will reach Delhi by 7 or 8 in the morning. On reaching, get off at your respective stations and take back home with lovely memories of this tour.